Bobbi Jo Reed is glowing. She’s standing in front of a microphone, before a large crowd, in a spacious room inside the new headquarters of Healing House, the Historic Northeast-based substance abuse recovery organization whose expansion plans are just getting started. Reed is overseeing the ribbon cutting ceremony for the new facility, which will house the administrative component of Healing House. She will be celebrating 23 years of sobriety on September 26, and has been invited to the White House on September 28 to provide her unique perspective on the nation’s opioid epidemic. Why shouldn’t Reed be satisfied? 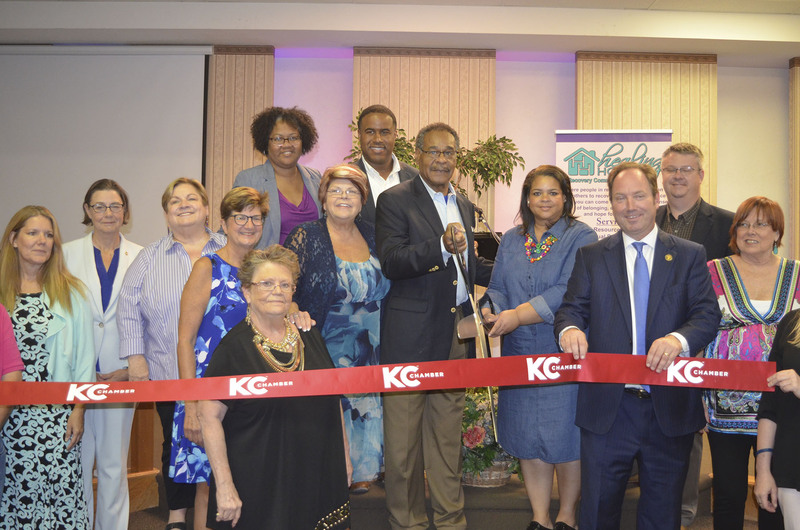 Reed’s work with Healing House has not gone unnoticed; a fact that was made clear on Monday, September 17 by the impressive guest list for the ribbon cutting ceremony at the new facility. City Council members Scott Taylor, Katheryn Shields and Scott Wagner were in attendance, along with Missouri state legislators DaRon McGee and Kiki Curls. Missouri District 5 States Representative Emanuel Cleaver II was tabbed for the keynote address, delivering an impassioned speech about the important work being done by the organization. To Cleaver, the work that Healing House has been doing in and around St. John Avenue is incomparable. “This is one of the most important places in Kansas City – not the Power & Light District, not the 18th and Vine District,” Cleaver said. 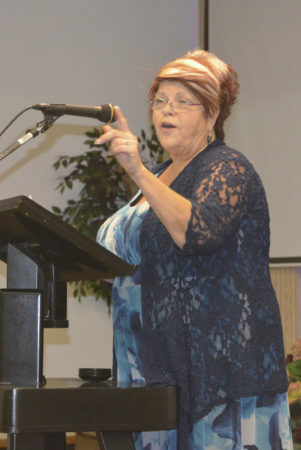 Cleaver also called the work of Healing House “important to me,” citing the emotional toll caused by a relative who died too young after a battle with substance abuse. The idea of Reed leading Healing House into its new 16,000 square-foot administrative facility is a far cry from the organization’s humble roots, which unofficially began in 2001. That year, Reed purchased a Historic Northeast home with the intention of providing transitional housing to women trying to conquer addiction. Two years later, Reed officially founded Healing House. Today, the organization has the capacity to provide transitional housing for up to 125 adults and 25 children, while also offering recovery support, educational classes and employment opportunities. Reed has been doing recovery work in the Historic Northeast for decades, and in that time she has seen the area begin to shed it’s reputation as what she described as a “frightening” neighborhood. That’s no longer the case. Even more expansion news is coming just around the corner. Reed announced at the September 17 ribbon cutting ceremony that the organization’s $3.2 million recovery community center across the street (at 112/114 N. Elmwood) is only $700,000 from being fully funded. Already, new cement floors have been poured, a sprinkler system has been installed, and the plumbing has been renovated. With any luck, Reed says, the recovery community center will be completed sometime early in 2019. The facility will host daily group sessions, tutoring, GED classes, relapse prevention assistance, recovery meetings, art and yoga classes, and much more. Eventually, Reed hopes the organization can install a commercial kitchen to facilitate a culinary arts program. In the meantime, many of the educational components of Healing House’s work will be held at its new headquarters. One class Reed is particularly proud of is the organization’s NAR-Anon meetings, intended for the family members of those who are dealing with addiction issues. Anyone interested in joining that group can do so from 10 a.m. until 11 a.m. every Saturday. To learn more about Healing House or to find a program calendar, visit http://healinghousekc.org.